Digital downloads have become a very popular, instant way of buying hypnosis, self-help and meditation audio products, and for many therapists and practitioners digital sales can represent their largest source of income with low overhead cost (no physical storage or warehousing or shipping required) and access to international markets. So how do you begin to sell your downloads online? Generally speaking you have three options: Sell your downloads through digital stores like Amazon or iTunes, sell through your own website or by using an Ecommerce platform such as Shopify. Read on to explore the pros and cons of each method – you may well decide to do all three! 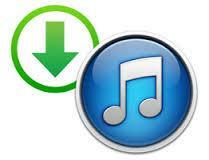 Selling downloads through digital stores – iTunes & Amazon.. Using a digital distributor, you can easily sell your audio products on hundreds of music stores and subscription services such as iTunes, Amazon, Spotify, Deezer and 7Digital. All distributors will have their own pricing model. Some opt for a one-off upfront fee, others may charge a lower upfront fee but take a percentage of your revenue, or they may have a recurring annual fee. In general digital distribution can be very cost effective and simple to set up. Once you have created an account and uploaded your tracks/artwork most distributors will allow you to choose from a large list of digital outlets, and to specify spoken word as a genre – you will then start to see your products on sale within 48 hours although some digital stores can take a bit longer. 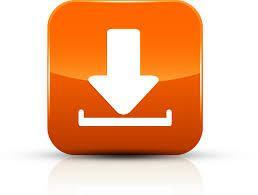 From then on your downloads will continue to be available until you decide to remove them. The main downside to this approach is that this business model is largely aimed at selling music downloads so you can have very little control over pricing & limited opportunities to add branding, descriptions or to include supporting materials along with the audio. You do however get access to a huge market who are fully accustomed to buying downloads to listen to on their computers, smartphones & tablets. Here are five top digital distributors to check out.. There are many online tools available that will enable you to bypass digital stores by selling your products directly to clients and visitors to your website. The main advantages of this approach are that you can avoid having to pay the fees taken by stores like iTunes and Amazon for each sale and you’re also in complete control of the pricing, branding & content of your products. The disadvantage is that it can be harder for clients to buy or listen to your download & they may expect your products to be available through Amazon or iTunes and won’t necessarily assume that they can access it from your website. Thus marketing can become more of a challenge. The process is fairlystraight forward – upload your audio products to one of the online tools such as those listed below and then add their widget or audio player to your websites, blogs, and social network profiles. The entire process from payment to delivery is handled by them letting you focus solely on the products & marketing. Here are some of the main platforms that will enable you to sell downloads through your website – they all carry out the same function but can have slightly different approaches and you will need to be clear about fees, pricing and formats – especially if your audio products are long as some providers have a limit on the length of track or file. 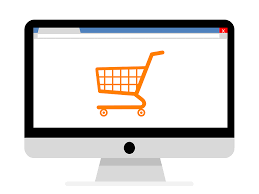 Ecommerce platforms let you build and run a custom online store with all the tools needed to walk you through the setup, design & pricing as well as features such as secure payments, marketing tools and sales reports. You will have complete control over pricing & branding and can sell physical products alongside digital ones. Most store platforms have a free trail period to learn the ropes & experiment before you launch your store – they then usually require a monthly fee although some will take a percentage of your sales instead. There are now hundreds of different platforms – it is worth taking time to try out several different platforms before you decide which one is most suited to your specific business & products.. The general consensus with the DIY approach to selling downloads is that the three approaches are not mutually exclusive. Digital distribution is best used in tandem with a website or online store so that your clients can access your products from as many different sources as possible. At this point It’s also useful to remember that the process of distribution is only half of the equation when it comes to selling downloads – marketing your products and driving sales are essential too.. I use a system not mentioned here, MadBeeTech at http://www.madbeetech.com. It’s designed for the automated selling of digital downloads. It’s a complete website that has a site builder and shopping cart. When a visitor adds an item to the cart and checks out, he ends up at your PayPal page where he pays by PayPal or credit/debit card. The best part I like about it is that once a visitor makes a purchase, he is automatically emailed a message with a link to instantly download the purchased file or files. And I automatically get emailed from PayPal saying the funds are in my PayPal account. I don’t have to do anything regarding sending out the purchased files. It’s only about $3 per month. Works for me. Hi Luke – This looks like a good system – thanks for the heads up! Hi Johan – CD Baby will distribute spoken word recordings to iTunes and other stores.. Thanks for a concise overview.